Cuts to public services at a time when more and more families were being forced into poverty was having a crippling impact on those who needed support the most, according to a leading social work expert from Kingston University. 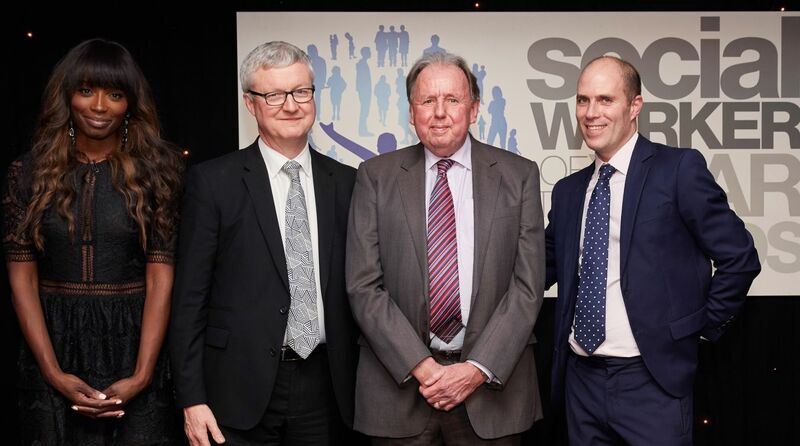 Emeritus professor Ray Jones highlighted the issues facing both the profession and wider society after being honoured with the outstanding contribution to social work accolade at the annual Social Worker of the Year Awards. Reflecting on a career spanning almost 50 years as a practitioner, social services leader and latterly as an academic, Professor Jones outlined the difficult environment social workers were now working in – and called on the government to rethink the programme of cutbacks being imposed on the public sector. "We are living through an era of politically-chosen austerity, but it doesn't have to be this way," he said. "Struggling families are being pushed towards deprivation and destitution, while those trying to help them are seeing their resources stripped back. "It's a double whammy and the government needs to recognise that when people start to struggle, there need to be local services available at the point they need them." The Social Worker of the Year Awards were established in 2006 to recognise the hard work and positive impact that social workers have on the lives of vulnerable children, families and adults. Acknowledged as being the leading awards in the sector, they celebrate the success of the profession's most innovative and dedicated social workers. Professor Jones was presented with the outstanding contribution award by celebrity chef Lorraine Pascale, who spent part of her early life living between foster carers and adopters. Following 14 years as the director of social services for Wiltshire, he moved in to academia in 2008, taking up the role of Professor of Social Work at the Faculty of Health, Social Care and Education – run jointly between Kingston University and St George's, University of London. With the profession never straying far from the headlines, the social work expert – who became emeritus professor in 2016 – has frequently been called upon to combine his in-depth knowledge and practical experience to provide expert commentary to a host of media outlets and has published five books. 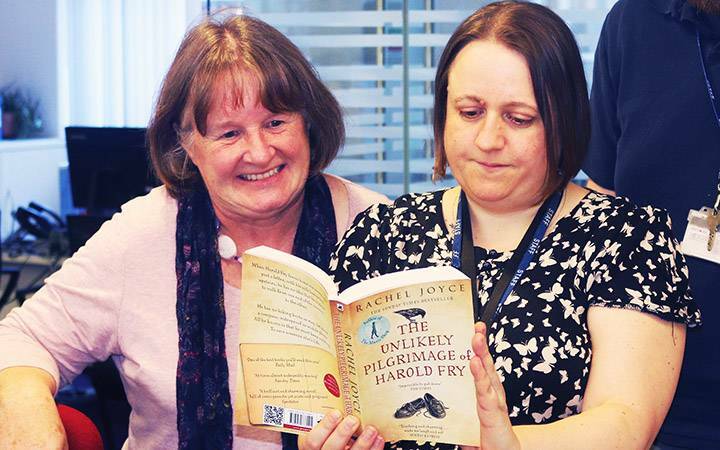 "I've been very fortunate to have had a long and varied career in social work and social services, working as a practitioner, manager and leader and then in academia as a researcher, teacher and writer," he said. 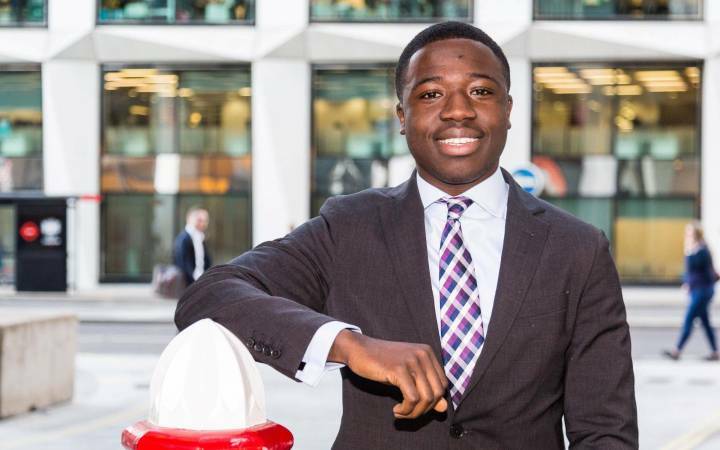 "Each of those three strands complements the other, and at Kingston University I was afforded the freedom to speak openly in defence of the profession from a strong platform in a way that would be difficult for those employed within local government to do." Professor Ray Jones (third from left) with, left to right, celebrity Chef and Awards Patron Lorraine Pascale,Peter Hay CBE, Chair of the Social Work Awards and James Rook, chief executive of headline sponsor Sanctuary Social Care. One of the most important cases he would come to be seen as a leading commentator on was that of Peter Connelly, known as Baby P. The negative portrayal of social workers in the wake of the case had led to serious consequences for the profession, Dr Jones explained. "This was a story about chronic neglect that accelerated into abuse, but the response was misshapen and mistaken in its focus on social workers," he said. "The big issue was that it destabilised the child protection system in England, which has now been overloaded and overwhelmed," Professor Jones added. "It has ended up making it more difficult for the profession to protect children, which is a really sad outcome for a tragic story." During his time at Kingston University, the long-standing social work champion was able to stay close to practice, carrying out roles alongside his academic commitments in overseeing and shaping child protection improvements across the country. He also carried out a number of studies ranging from the difficulties facing so-called ‘troubled families' immersed in poverty in South London to how to overcome barriers to learning from serious case reviews. A number of these papers have since been cited as evidence at Parliamentary Select Committees. Looking to the future, Professor Jones praised the current generation of social work students for their desire to help those in need and spoke of his hopes for how the profession could position itself going forward. 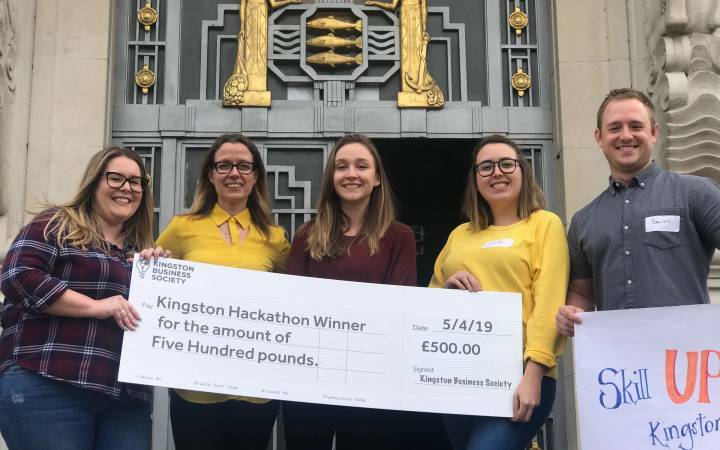 "There is a real appreciation for the intelligence, capacity and commitment to care that students and newly-qualified social workers demonstrate - not just at Kingston University but right across the sector," he said. 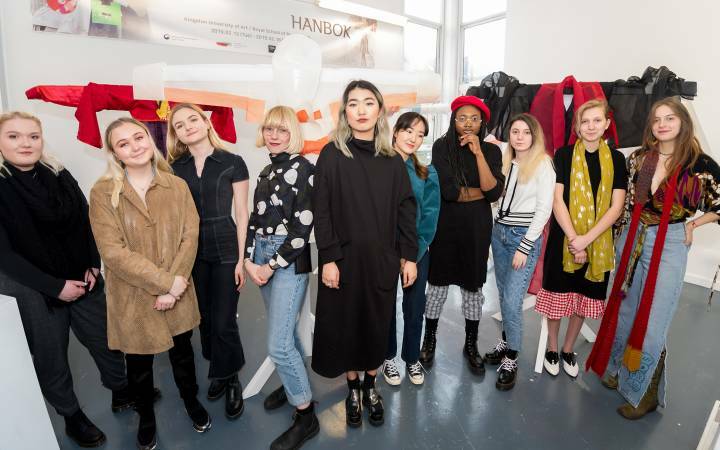 "My hope is that social work as a profession can and will become much stronger and make the statements it needs to in a more independent fashion, based on the experiences of working with those most in need of support." Professor Andy Kent, Dean of the Faculty of Health, Social Care and Education, said the top accolade recognised the integral contribution Professor Jones had made in his lifetime of service to the profession. "Ray has been an outstanding role model to a generation of students and practicing social workers," he said. "He's been a strong champion of the profession at some of its most embattled moments and his passion and integrity have always shone through when sharing his expertise around complex and highly emotive issues in the public eye." 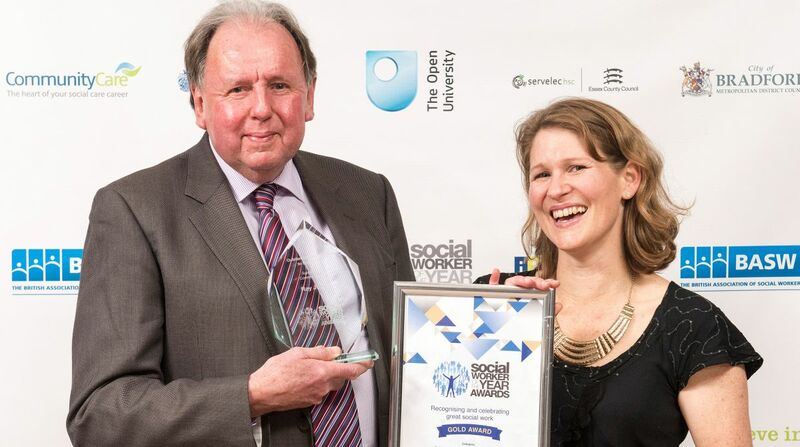 Find out more about the Social Worker of the Year Awards.